Bantario: Do street racing laws actually violate the Charter of Rights? Do street racing laws actually violate the Charter of Rights? 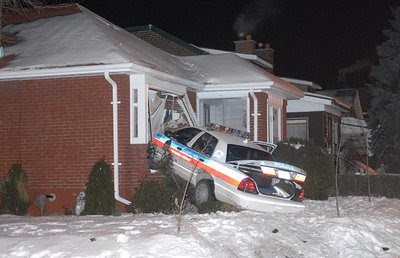 The Ontario Provincial Police certainly isn’t apologizing. Or laughing. The force says the tough new street racing penalties—including possible prison time for anyone caught driving more than 50 km/h over the limit—are doing exactly what they were designed to do: save lives. In 2008, the law’s first full year on the books, fatalities on OPP-patrolled roads plummeted by almost one-third (from 451 to 322), and in the first three months of 2009 there were 17 speed-related deaths, a 29 per cent drop from the same period last year. But 18 months and 11,000 charges after the law was first introduced, police and prosecutors are revving up for a legal showdown that threatens to quash some of cops’ newfound powers—including the luxury of treating every excessive speeder like a hard-core street racer. One justice of the peace has already ruled that a key section of the law is unconstitutional, and if defence lawyers have their way, the province’s highest court will have to weigh in on a question already being asked in traffic courts across Ontario: do jail sentences for speeders violate the Charter of Rights and Freedoms? Adopted in September 2007, Section 172 of Ontario’s Highway Traffic Act was created to crack down on the fast and the furious. Anyone caught racing or “stunting” (doing doughnuts in a parking lot, for example, or cruising around town with a passenger in the trunk) will automatically lose his car and his licence for seven days. If convicted, the penalties range from a minimum fine of $2,000 to six months behind bars. At last count, 24 drivers have served at least one night in jail because they thought they were Paul Tracy.